The Guitar is almost universal in Celtic music, and is so common as to need little introduction. The history, however, is interesting. Guitar-like instruments have existed since ancient times, but the first written mention of the guitar proper is from the 14th century. In its earliest form it had three double courses (pairs) of strings plus a single string (the highest). The guitar probably originated in Spain, where by the 16th century it was the counterpart among the middle and lower classes of the aristocracy’s vihuela, an instrument of similar shape and ancestry that had six double courses. The guitar became popular in other European countries in the 16th and 17th centuries, and by the late 17th century a fifth course of strings had been added below the other four. In the mid-18th century the guitar attained its modern form, when the double courses were made single and a sixth string was added above the lower five. Guitar makers in the 19th century broadened the body, increased the curve of the waist, thinned the belly, and changed the internal bracing. The old wooden tuning pegs were replaced by a modern machine head. 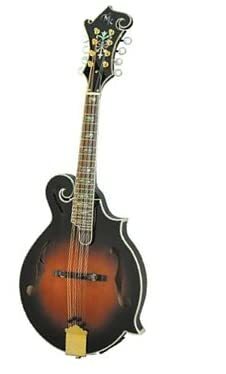 The mandolin is a stringed instrument that is a cousin of the lute dating back to Italy and the 1700s. It has a deep pear shaped body, an oval sound hole, and four pairs of strings tuned like a violin. When played as a folk instrument, the violin is ordinarily referred to in English as a fiddle. There is technically no difference between a fiddle and a violin. 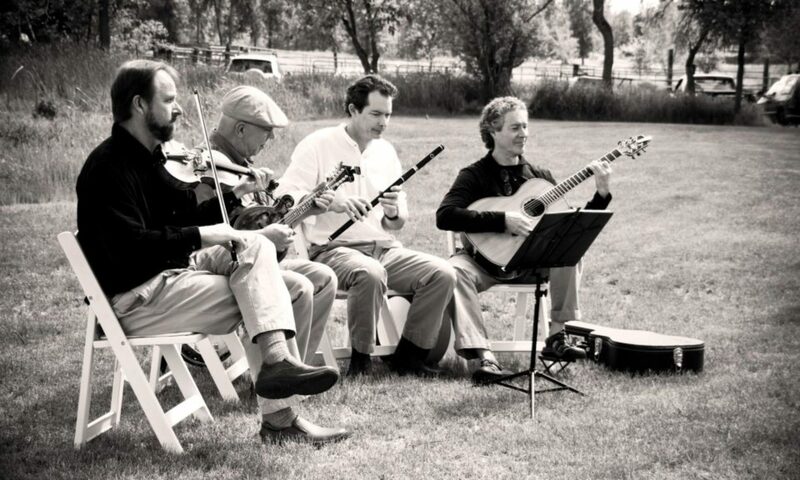 The world’s earliest fiddlers were probably Turkic and Mongolian horsemen from Inner Asia. Their two-stringed upright fiddles were strung with horsehair strings, played with horsehair bows, and often feature a carved horse’s head at the end of the neck. The violins, violas, and cellos we play today, and whose bows are still strung with horsehair, are a legacy of the nomads.It is believed that these instruments eventually spread to China, India, the Byzantine Empire and the Middle East, where they developed into instruments such as the erhu in China, the rebab in the Middle East, the lyra in the Byzantine Empire and the esraj in India. The violin in its present form emerged in early 16th-Century Northern Italy, where the port towns of Venice and Genoa maintained extensive ties to central Asia through the trade routes of the silk road. The modern European violin evolved from various bowed stringed instruments from the Middle East and the Byzantine Empire. It is most likely that the first makers of violins borrowed from three types of current instruments: the rebec, in use since the 10th century (itself derived from the Byzantine lyra and the Arabic rebab), the Renaissance fiddle, and the lira da braccio (derived from the Byzantine lira). One of the earliest explicit descriptions of the instrument, including its tuning, was in the Epitome musical by Jambe de Fer, published in Lyon in 1556. By this time, the violin had already begun to spread throughout Europe. The banjo is stringed instrument of the lute family, with an open-backed round body consisting of a circular wood hoop over which is stretched a drum-like skin. It has a long, narrow, fretted neck, and metal or metal-wound gut strings. The strings run from a tailpiece, over a bridge (a piece of wood that holds the strings off of the belly of the banjo) held in place by their pressure, up the neck to rear tuning pegs. 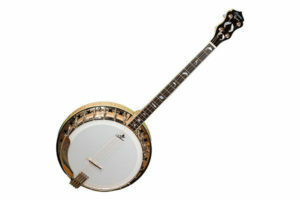 The banjo typically has five strings: four full-length strings and a shorter fifth “thumb” string running to a tuning screw halfway up the neck. The transverse flute, the typical flute of Western music, was known in China by about 900 BC. By about AD 1100 it reached Europe, where it became a military flute in German-speaking areas. Made in one piece, these flutes had a cylindrical bore and six fingerholes. The flute was redesigned in the late 1600s by the Hotteterre family of French woodwind makers. They built it in three sections, or joints, with one key and a conical bore tapering away from the player. This flute displaced the recorder as the typical orchestral flute in the late 1700s. Gradually, more keys were added to improve the intonation of certain tones; by about 1800 a four-keyed flute was common, and eight-keyed flutes were developed in the 19th century. In 1832 the German flute maker Theobald Boehm created an improved conical-bore flute, and in 1847 he patented his cylindrical-bore flute, which is the model in widest use in the 20th century. 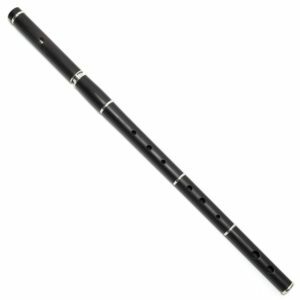 The cylindrical Boehm flute is made of metal or wood and has thirteen or more tone holes controlled by a system of padded keys. Its range extends three octaves, from middle C upward. Flutes of one sort or another have been played in the celtic countries for over a thousand years. The kind in use today is mainly the ‘simple-system’ flute with six holes and up to eight keys. This became popular in Ireland during the nineteenth century, when classical musicians were abandoning them for the new Boehm-system flute. Modern traditional flutes are usually copies of these early instruments, and almost always made of wood. Their cylindrical bore and wooden construction give a hollow, airy tone, softer than the classical flutes and much smoother than the tin whistle. The tin whistle, or feadóg stain in Irish, has ancient forerunners. Whistles made of various materials have been played throughout the world since prehistoric times, and in Ireland there is evidence of whistle players in the early literature and on the medieval High Crosses. Bird-bone whistles survive from twelfth-century Viking Dublin, and there are references to homemade whistles of straw or wood being played in later yearshis is the simplest and cheapest of traditional Celtic instruments. The modern instrument is a simple metal tube made from rolled nickel or brass, with six holes and a mouthpiece like a recorder. The instrument has a range of just over two octaves, and comes in several different keys to facilitate playing with other musicians. Some makers have developed a “low whistle”, which has the pitch range of a flute but the tonality of a whistle. It has several forms in modern Ireland. The oldest of these, the Clarke whistle pitched in C, has been produced by an English company since the mid-nineteenth century, and is a conical tinplate tube with a softwood plug or fipple at the mouth. This form has a hoarse breathy sound often favoured by players, but it calls for large reserves of breath and is at an awkward pitch for session playing. Since the 1950’s it has been generally replaced by a cylindrical form, with a moulded mouthpiece, which gives a purer tone, and is available in the more useful pitch of D. Originally manufactured by an English firm, this type is now also made in Ireland. In recent years a conical D whistle has come on the market which is made of heavier metal than the Clarke version and has a hardwood fipple. This is probably the most elaborate bagpipe in the world. It was developed from roughly the 1700’s to the present time in Ireland, with contributions from the U.S. and European countries. Today it is widely known as the “uilleann” (ILL-en) pipe from the Irish word for “elbow”. Unlike many types of bagpipe, the uilleann pipes are not blown by mouth but are inflated by bellows. Perhaps the most important feature of the instrument is its melody-pipe or chanter, which plays more than 2 complete chromatic octaves (most forms of bagpipe can play little more than one octave). The chanter is essentially a primitive oboe and is very quiet, about as loud as 1-2 fiddles. 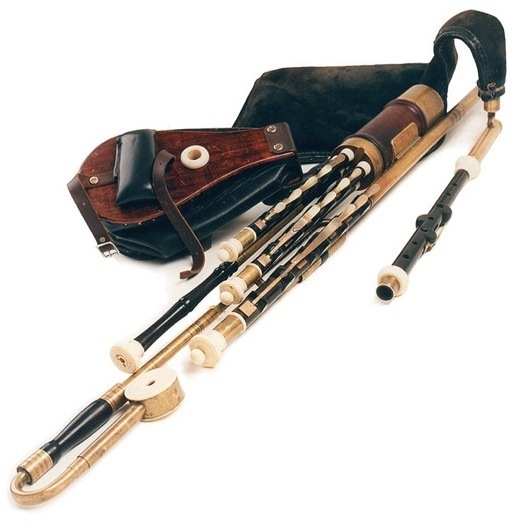 Like the Scots Highland bagpipe the uilleann pipes have 3 drones but they are very quiet. One of the most unusual features of the instrument is the set of (typically) 3 more oboes in the form of 1-octave, 4- or 5-note stopped harmony pipes with keys operated by the wrist (while the piper fingers the melody on the chanter) to provide several simple chords for accompaniment. These pipes have the peculiar name of “regulators” although they are purely musical and do not in any way “regulate” air pressure or behavior of the instrument. The instrument must be played seated with one leg lowered. The chanter bottom is placed onto this leg to seal the opening shut, so that the piper can play either continuously or, as desired, can stop the chanter to play interrupted or stacatto notes. The bag on the Uilleann pipes is filled with the bellows instead of the breath, enabling the use of finer, dry reeds. 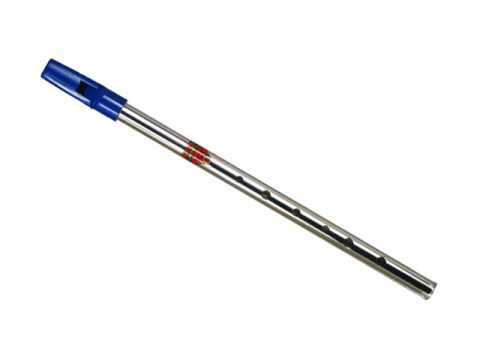 Their finer reeds—trimmed longer and thinner–make the Uilleanns capable of overblowing into a second octave. Unlike any other type of bagpipe, the Uilleann pipes can play two full octaves, as well as every single one of the half-steps between. It’s this second octave that gives the Uilleanns the distinctive sweetness of tone that defines the instrument. This range, however, causes a few problems of its own. With two full octaves and idiosyncratic quirks at every turn, the Uilleanns can be extremely challenging to master. Much of the difficulty is mechanical; the piper has to master the ins-and-outs of the bellows, and get his fingers to the right spots on valves and keys attached to seven different pipes—the chanter, three drones, and three regulators—and do all of it at the same time. Much of the history of bodhráns is pure speculation. Some believe it has been in use for centuries in Ireland, brought to Eire by migrating Celts following one of two routes–from origins in Asia through Europe, or from origins in Africa via Spain. 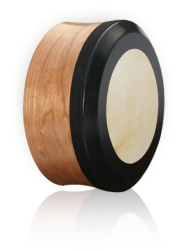 Despite any lingering controversy surrounding its origins, how was the bodhran first used? Almost certainly not for any musical purpose, at least in its early days. Some theories hold that crude fife-and-bodhran corps accompanied military forces into fierce battles, providing stirring march music that motivated the troops. During harvest times, the bodhran likely saw considerable agricultural duty. A harvesting tool made of animal skin pulled over a wooden frame–called a “dalloch” by the Scots and a “dallan” by the Irish–was employed as a sifter for winnowing edible grains from chaff. Another use for the bodhran was as a noisemaker during harvest festivals and rural mummers’ plays. On St. Stephen’s Day, when wren boys take to the streets to hunt the wren and collect money for village celebrations, they have traditionally beat on the bodhran or on slitted wooden discs called “sand riddles” (used by construction crews to sift rocks out of sand). For centuries, the bodhran was an uncommon sight outside southwestern Ireland; in the 1960s, it was introduced to modern traditional music by Seán Ó Riada, credited by many as the father of the Irish music renaissance. Without much historical evidence behind his claims, Sean O Raida declared the bodhran to be the native drum of the Celts, with a musical history that predated Christianity. O Raida inserted arrangements for bodhran into the music for his group Ceoltóirí Chualann, which evolved later into the world-famous Chieftains. He also recruited a bodhran player, Ronnie McShane, into the group to play the bodhran parts. Davy Fallon (then in his seventies) and Peadar Mercier also rose to musical fame playing the bodhran on early recordings of the Chieftains.